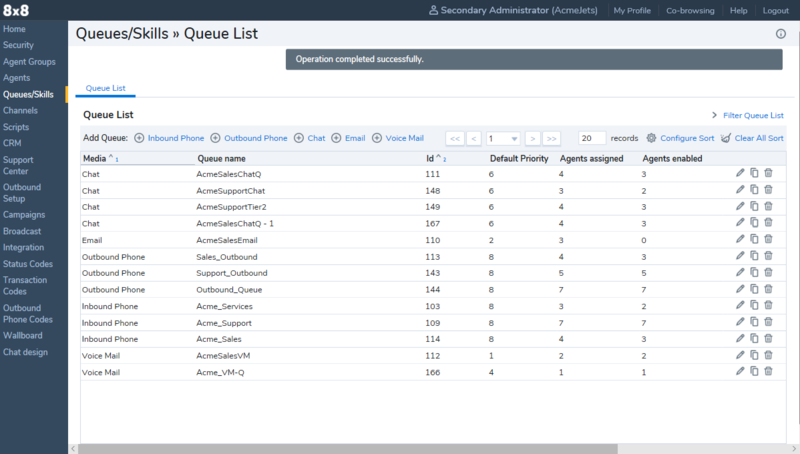 Queues serve to present interactions flowing into the Virtual Contact Center to agents based on skill set and availability. In the Configuration menu, click Queues to display a list of queues. Click or media type to add a new queue. For example, click Inbound Phone to create an inbound phone queue. Double click or click Edit icon to view or modify an existing queue. Click Delete icon to delete an existing queue. Configure the queue settings and save. For details on setting up a queue, refer to the following sections.